Writer and feminist activist Scarlett Curtis speaks to Bryony Gordon in this special World Mental Health Day edition of the show. Scarlett opens up about her struggles with PTSD following major surgery, and how both her writing and her activist work help her cope with her own mental health on a day-to-day basis. Caution advised: strong language throughout. 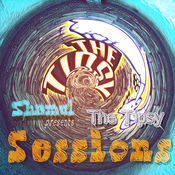 Visit for more. CAUTION ADVISED - STRONG LANGUAGE CEO and founding member of Mental Health First Aid England, Poppy Jaman OBE speaks to the Telegraph’s Bryony Gordon in the tenth and final episode of the second series of Mad World, where she interviews guests about their mental health experiences. Poppy details her struggles with prejudice and racism growing up in Portsmouth in the 80s, and how these experiences spurred her on in both life and career. CAUTION ADVISED - STRONG LANGUAGE Cook and food writer, Melissa Hemsley, speaks to the Telegraph’s Bryony Gordon in the ninth episode of the brand new series of Mad World, where she interviews guests about their mental health experiences. Melissa discusses how she's been dealing with her father's death from cancer three years ago, as well as how she manages her own relationship with food, having struggled with it in her pre-teenage years. 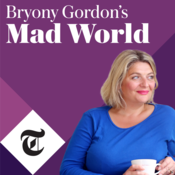 CAUTION ADVISED - STRONG LANGUAGE & ADULT THEMES Comedienne and social media star, Bella Younger, speaks to the Telegraph’s Bryony Gordon in the eighth episode of the brand new series of Mad World, where she interviews guests about their mental health experiences. Better known as 'Deliciously Stella', her remarkable rise to fame saw Bella become an overnight Instagram sensation and ultimately resulted in a mental breakdown and treatment at the Priory; all whilst trying to pull together a show for the Edinburgh Fringe.